Here’s an idea: A Minimal Viable Curriculum (MVC). That’s what Christian Talbot over at Basecamp is proposing, and I have to say, I love the idea. The key there to me is that THEY update their MVC. That resonates so deeply; it feels like that’s what I’m doing with my learning each day as I read about and work with school leaders who are thinking deeply about change. When we pursue questions that matter to us, rigor is baked in. I love the idea of giving students — as they can handle it — more choice, more control. So anytime around 8th-12th grade, I say we turn much more control over to the students, and let them make more choices on what they want to learn about. We should at least try some experiments along these lines. Plus, I can easily imagine greater engagement with the materials that students choose for themselves, as well as increased attention spans and higher motivation levels. 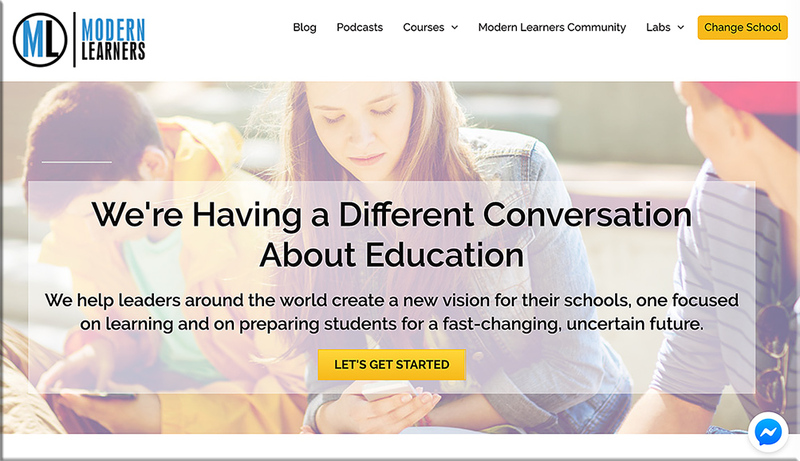 Also, here’s a major shout out to Will Richardson, Bruce Dixon, Missy Emler and Lyn Hilt for the work they are doing at ModernLearners.com. Second of all, the topic of remembering something 10 years from now (from some current learning) made me think about obtaining a long-term return on investment (ROI) from that learning. In the online-based course that I’ve been teaching for a while now, I’m all about helping the students in my classes obtain long-term benefits from taking the class. Grades aren’t the key. The learning is the key! The class is entitled, “Foundations of Information Technology” and I want them to be using the tools, technologies, services, and concepts (that we learned about) loooooong after they graduate from college! We work on things like RSS feeds, Twitter, LinkedIn, WordPress, building their network, building their personal brand, HTML/web design, Microsoft Excel, the Internet of Things and much more. I want them to be practicing those things, leveraging those tools, pulse-checking their surroundings, networking with others, serving others with their gifts, and building on the foundations that they put into place waaaay back in 201__. DC: What a powerful picture! We approach learning experiences differently. The picture below was posted in the item below from edutopia. What a powerful picture! And not just for art or drama teachers! Does it not once again illustrate that we are different? The lenses that we view the world through are different. Our learners are different. Each of us comes to a learning experience with different backgrounds, emotions, knowledge…and different real-life experiences. As the article mentions, we need to create safe and supportive learning environments, where the love of (or at least the enjoyment of) learning can thrive. 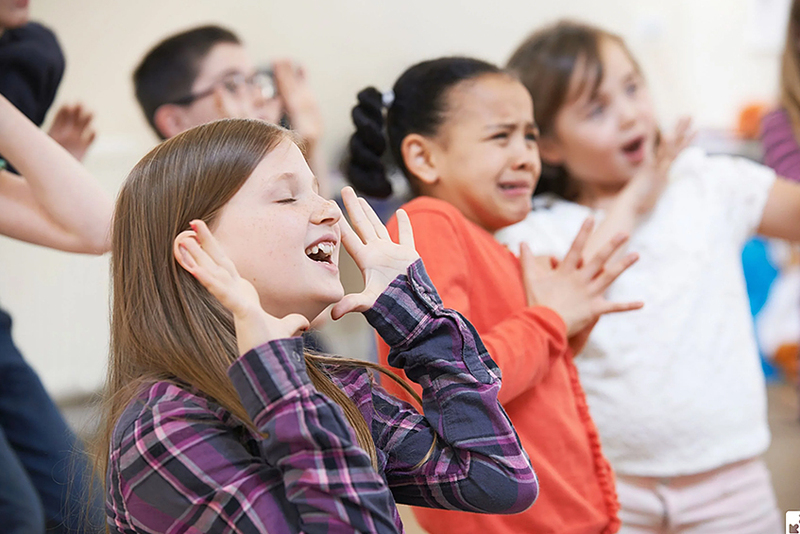 How to incorporate creative expression and movement in the classroom while building social and emotional learning skills. Being creative is an inherently vulnerable process. In order to authentically build SEL competencies through creative expression, teachers need to strive to create a safe space, provide time, and open doors for validation. Ever notice how effective Ted Talks begin? They seek to instantly grab your attention with a zinger question, a somewhat shocking statement, an interesting story, a joke, an important problem or an issue, a personal anecdote or experience, a powerful image/photo/graphic, a brief demonstration, and the like. Grabbing someone’s attention is a key first step in getting a piece of information into someone’s short-term memory — what I call getting through “the gate.” If we can’t get through the gate into someone’s short-term memory, we have zero (0) chance of having them actually process that information and to think about and engage with that piece of content. If we can’t make it into someone’s short-term memory, we can’t get that piece of information into their long-term memory for later retrieval/recall. There won’t be any return on investment (ROI) in that case. So why not try starting up one of your classes this week with a zinger question, a powerful image/photo/video, or a story from your own work experience? I’ll bet you’ll grab your students’ attentions instantly! Then you can move on into the material for a greater ROI. From there, offering frequent, low-stakes quizzes will hopefully help your students slow down their forgetting curves and help them practice recalling/retrieving that information. By the way, that’s why stories are quite powerful. We often remember them better. So if you can weave an illustrative story into your next class, your students might really benefit from it come final test time! No matter which of these five ways you decide to launch your presentation, ensure that you make it count, and make it memorable. When delivering a speech, a pause of about three or even as many as 10 seconds will allow your audience to sit and quiet down. Because most people always expect the speaker to start immediately, this silence will thus catch the attention of the audience. They will be instinctively more interested in what you had to say, and why you took your time to say it. This time will also help you gather your nerves and prepare to speak. Metacognition. Neuroplasticity. Retrieval Practice. Amygdala. These aren’t the normal words you’d expect to hear in a 15-year-old rural South African’s vocabulary. Here, though, it’s common talk. And why shouldn’t it be? Over the years, we’ve found youth are innately hungry to learn about the inner workings of their mind—where, why and how learning, thinking and decision-making happens. So, we teach them cognitive science. Over the next three years, we teach students about the software and hardware of the brain. From Carol Dweck’s online Brainology curriculum, they learn about growth mindset, memory and mnemonics, the neural infrastructure of the brain. They learn how stress impacts learning and about neuroplasticity—or how the brain learns. From David Eagleman and Dan Siegel, they learn about the changing landscape of the adolescent brain and how novelty, emotionality and peer relationships aid in learning. Pulling from books such as Make It Stick and How We Learn, we pointedly teach students about the science behind retrieval practice, metacognition and other strategies. We expressly use them in our classes so students see and experience the direct impact, and we also dedicate a whole class in our program for students to practice applying these strategies toward their own academic learning from school. Who doesn’t like to have a choice? This seems like a no-brainer to me. Whenever teachers can give their students choices in their learning process, everyone wins. 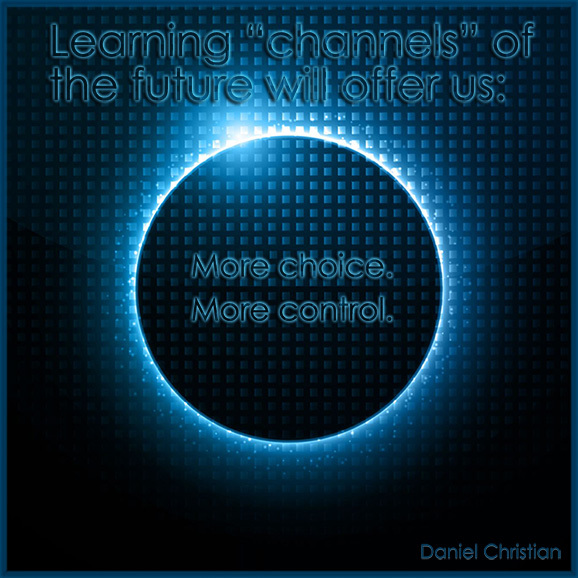 When we have options, we tend to have more ownership of that experience. It also provides us with a sense of control, which most students do not experience in school. In her article on facultyfocus.com, Elizabeth Betsy Lasley EdD writes, “When students are asked to interpret, construct, and demonstrate their concepts or ideas regarding specific course concepts from a selection of product or performance options, content retention, commitment, motivation, and creativity increase.” Flipped Learning environments are ripe for offering choices to students in how they consume content and how they express their learning outcomes. Giving students choice allows us to reach every student, every day because it honors their individuality. Cassie Shoemaker explains it simply in her article Let it go: Giving students choices, “When teachers give students choices as to how they will show what they have learned, students become better problems solvers, more creative, and more engaged.” Problem-solving: It’s not just for math! Students NEED to have opportunities to make decisions in school to learn to make decisions in life. If we continue to spoonfeed and micromanage our students, they won’t learn to figure things out on their own. Teachers by nature tend to be control freaks (including me). However, when we allow our students to try/fail/try again, we support their growth and confidence. Sound familiar? It’s because approaches that encourage students to use what they know, revisit it over time, mix it up and learn about their own learning are core elements in many current edtech tools. Kahoot and Quizlet, for example, provide numerous retrieval formats, reminders, shuffle options and instant feedback. A century of scientific researchdemonstrates that these features don’t simply increase engagement—they also improve learning, higher order thinking and transfer of knowledge. Pastors should ask this type of question as well: “What did we talk about the last time we met?” — then give the congregation a minute to write down what they can remember. And when it comes to students, the first thing we share are Retrieval Warm Ups. These quick, fun questions engage students in class discussion and start a conversation about how retrieval is something we do every day. Try one of these with a teacher to start a conversation about retrieval practice, too! I recently ran across this article. Although it’s from 12/24/15, it has some really solid points and strategies in it. Definitely worth a read if you are a teacher or even a parent with school age kids. …his comments in class about the substance of her ideas, his feedback on her writing, the enthusiasm in his voice when he discussed her thinking. Over the course of a year, that proof solidified into a confidence that couldn’t be easily shaken anymore. It was that pride in her intellect that gave her the fortitude and resilience to cut through many racial stereotypes and negative myths as she made her way through high school and then Boston University. For McKamey, the most important value driving her teaching and coaching is her conviction that being a good teacher means hearing, seeing, and succeeding with all students—regardless of how far a student is from the teacher’s preconceived notions of what it means to be ready to learn. When teachers are driven by a belief that all of their students can learn, they are able to respond to the complexity of their students’ needs and to adjust if something is not working for a particular individual or group of students. The best way to improve teaching and reduce the achievement gaps, McKamey argues, is to allow teachers to act as school-based researchers and leaders, justifying classroom reforms based on the broad range of performance markers of their students: daily grades, the quality of student work and the rate of its production, engagement, effort, attendance, and student comments. That means planning units together and then spending a lot of time analyzing the iterative work the students produce. This process teaches educators to recognize that there are no standard individuals, and there are as many learning trajectories as there are people. How do we keep joy in our classrooms — for both students and teachers? Teaching today is nothing like it was in the past. Gone are the days of loose curriculum, infrequent observations by your principal, and learning cursive; we now have structured lessons, unannounced walkthroughs by both the principal and the superintendent, and a lack of downtime. How do we keep joy in our classrooms — for the kids and also for us? Take a look at some tips for continuing to make teaching and learning fun. As much as you can, give the kids choices. While this isn’t always possible, there are ways to promote student choice. If your school has an intervention time, or a “What I Need” (WIN) block, create a menu of student options. Recently, my WIN time menu has included Greek myths, multiplication practice, a persuasive essay piece, informational task cards, and multi-step word problems in math. These activities are considered Must-Do, and if they finish all Must-Dos, they can move on to optional choices. Another great way to allow for choice is by using Seesaw, a website that allows for students to represent their learning in a variety of ways. I have used Seesaw during assessments to allow students the choice of typing, voice recording, or writing by hand. They definitely enjoy filming themselves talking! Seeing as all of us are now into lifelong learning, it’s to all of our benefits to make learning fun and enjoyable. In fact, I wish that were more a part of our formative assessments…not just how did our students score on this or that standardized test. The skills that are needed in the future are hard to cram into a standardized test; skills such as creativity, entrepreneurship, tenacity/grit, patience, teamwork and collaboration, being innovative, being able to quickly adapt to change, etc. Sometimes the problem is that it takes too much time to provide a solid level of choice. I get that. But with some tools/services — as in the case where Lisa mentioned her use of Seesaw — there are some options that aren’t so labor-intensive for the teachers. I have it that if someone has had an extended period of painful or bad learning experiences, chances are that they won’t want to “go back to school” — in whatever form that additional training/education might look like. But if they enjoyed their learning experiences, it becomes much easier for consistent, lifelong learning to get baked into our daily/weekly habits and into our lives. The American architect Louis Sullivan coined the phrase “form follows function,” and this is true of classrooms as well. In Johnson’s classroom at H.D. Isenberg Elementary School in Salisbury, NC, students can choose from a variety of seating options. There are tables for students to collaborate in groups of four, as well as bar-style seating on taller stools and even a few couches where they can sit comfortably while they work or read independently. The school provided the tables, and Johnson supplied the rest of the furniture himself. To teach his students about citizenship, Johnson operates his classroom like a community. “I call it the Johnsonville Learning Community,” he said. His fourth- and fifth-grade students can earn currency by coming to class each day and successfully completing assignments, and they also hold various classroom jobs. “The students who keep the classroom clean are part of our janitorial service,” he explained. “The student who brings things to the office is our delivery service.” Students use part of their currency to pay “rent” each month, and that entitles them to sit where they want. Johnson’s school system is a 1-to-1 district, and every student is given an iPad to take home. Much of his instruction is project-based, with students working in small groups on tasks using curriculum from sources such as Defined STEM. In one recent project, his students used 3D modeling software on their iPads to create a multi-touch book about the human body systems. Johnson’s classroom is an example of how changes in both the design of the learning space and the teaching that takes place there have combined to making learning much more engaging and effective for students. A growing body of research suggests that the design of a learning space can have a significant effect on student success. For instance, a study by researchers at the University of Salford in England found that classroom design can have a 25 percent impact, either positive or negative, on student achievement over the course of an academic year — with factors such as color, complexity, flexibility, lighting and student choice having the most influence. I saw the word CHOICE (or some variant of it) mentioned several times in this article. That’s a helpful step in developing the kind of mindset that our students will need in the future. Making choices, thinking on their feet, being able to adapt and pivot, NOT looking to be spoon fed by anyone — because that’s likely not going to happen once they graduate.